1902 Magazine Print featuring a map of the Washington D.C.
Vintage Paper Ads > Illustrations - Covers > 1902 Magazine Print featuring a map of the Washington D.C. 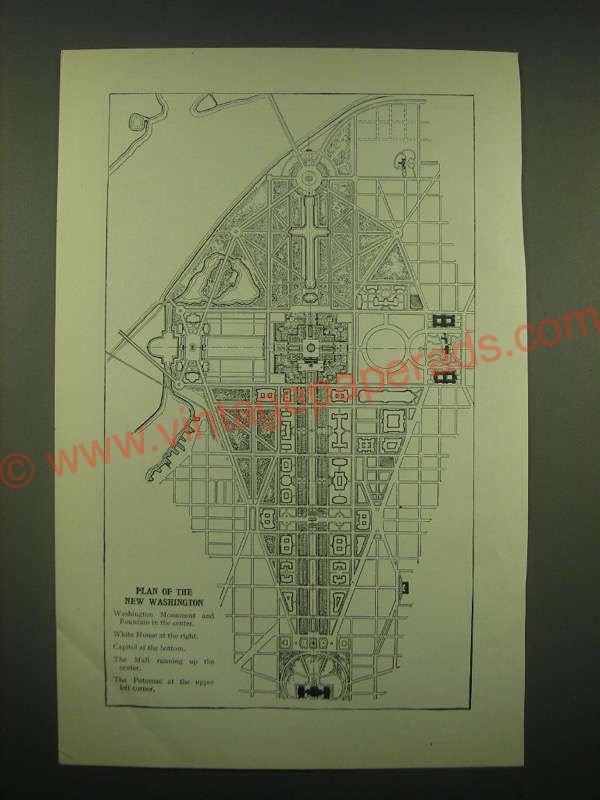 This is a 1902 Magazine Print featuring a map of the Washington D.C.! The size of the print is approximately 6x9.5inches. The caption for this print is 'Plan of the New Washington' The print is in good overall condition, with a light 2.5-inch crease in the lower left corner. This vintage print would look great framed and displayed! Add it to your collection today!